Jan Kuyper Erland has three decades of experience as an education intervention and technological consultant, learning disabilities specialist, program content developer, speaker, evaluator, researcher, and writer, for Mem-ExSpan, Inc. The prescriptive supplemental program, The Bridge To Achievement, (The BTA) was first introduced in 1981, as a cognitive skills retraining system for all individuals and ability levels, ages 9 to adult. As the founder of the nonprofit, 501 C3 Innovative Learning Stratagems (ILS), 1980, she served as President. She now serves as Executive Director, Researcher, and Project Manager for website curriculum content for ILS. Pursuits include helping parents and teachers understand student assessment measurement and evaluations, and exploring innovative solutions in K-12 education and the workplace by offering research and development of training services designed to improve student literacy, cognitive skills, work proficiency, and a sense of well-being. In 2001, the National Alliance for Learning (IAL) awarded Jan for her outstanding published landmark research. Jan developed and tested three BTA curriculum training formats, publishing five longitudinal reports, through the juried The Journal of Accelerated Learning and Teaching. Jan has been a national conference speaker on educational issues on learning and performance. Jan also served on the editorial review board for the national American Society for Training and Development’s Mind-Brain Forum. Having graduated from the University of Kansas, Lawrence, KS, M.S. Special Education, Learning Disabilities with honors; B.S. Education, Science, English, Theater, and Speech emphases, Drake University, Des Moines, Iowa, she has the background to create innovative learning solutions. Jan taught nine years in public schools as an elementary classroom teacher and elementary and junior high learning disabilities resource room specialist. She was a college guest lecturer for five years at Washburn Univerity on theoretical principals for education psychology classes. 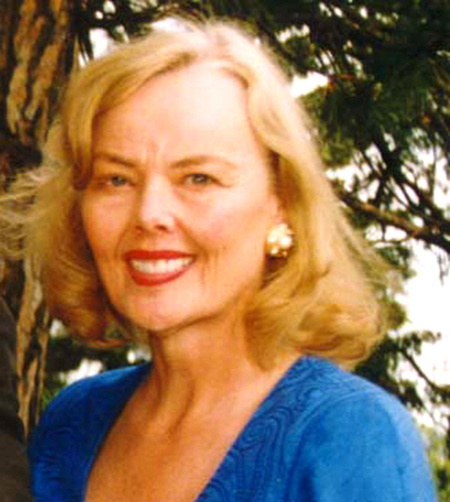 She was a private clinician for 30 years, and a published resesearcher with a strong theory foundation for 25 years and was mentored by five national education measurement, psychology, and special education professors from Iowa State University, University of Kansas, Rutgers University and Winona State University in Minnesota. Member of: American Psychological Association (APA) and Association for Supervision and Curriculum Development (ASCD); member and served on the Editorial Review Board for the International Alliance For Learning and Teaching, (IAL); National Mind-Brain Forum Editor, and served on the Kansas City Board of Directors for the American Society For Training and Development, (ASTD) formed their first Position Referral Service Committee, and later formed, an additional subcommittee, The Career Enhancement Group; member of: Association For Children With Learning Disabilities, (ACLD); Literacy Chairperson, Betty Washington Chapter, for The Daughters of the American Revolution; invited as a founding member of Total Quality Alliance, National Learning Foundation, Washington DC. This is some text to go at the bottom of every page.